The southernmost battle of the Revolutionary War took place in what is now Jacksonville, Florida. The Continental Army's attempt to invade British-occupied East Florida in the spring of 1777 became known as the Battle of Thomas Creek. For years, the National Park Service has wanted to protect this historic site. 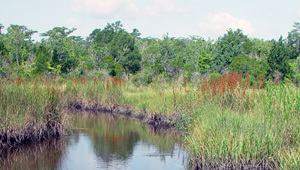 The Trust for Public Land has an option to purchase the property and is working to obtain funds from the federal Forest Legacy Program and the City of Jacksonville. Protecting this property will also help complete a 78-mile conservation corridor to safeguard water quality and fish and wildlife habitat.